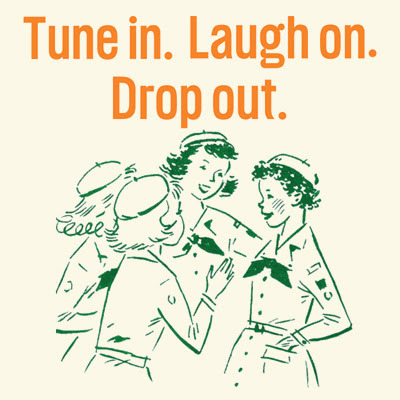 This past week was the illustrious launch of girlscoutdropout.com. An exciting project pinnacle to reach - especially when collaborating with such lighthearted and visionary folks. Sandi Amorello of irreverentwidow.com was the original brainchild for the project. She was inspired to develop this with a combination of her artistic and creative vision coupled with all the positive feedback she got from colleagues when mentioning the idea. Once again, I had the pleasure to work directly with Chris Kast of The Brand Company fame - an immensely talented individual who is an essential lubricant to the gears of creation and ideation. Nathan Hankla breathed life to the website by taking our core design and creating simple functionality. 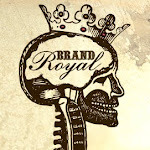 We brought our collective skill sets together to create the entire breadth of material needed, which included original brand/logo development, branded premiums, product and attire, print collateral and corporate identity design as well as the complete website development and social media presence. It was a colossally scaled, yet extremely fun and rewarding experience that we all had the pleasure to share right from the beginning. I'm also very happy to see the launch even got us some press. That's us in the photo with PR expert Angie Helton. All of us are looking forward to seeing this great, fun, celebratory idea get some traction and spread like kudzu to all dropout's everywhere.